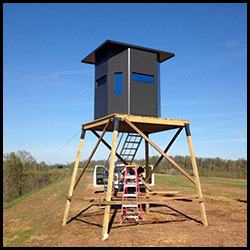 Ultra-Comfort Hunting Blinds – The Most Practical, Lightest, Most Comfortable, Insulated, Critter-Proof, Durable, Hunting Blind On The Market. 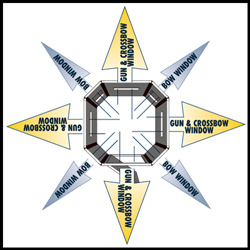 Structural Insulated Panels are at the core of Ultra-Comfort Hunting Blinds and Coolers. 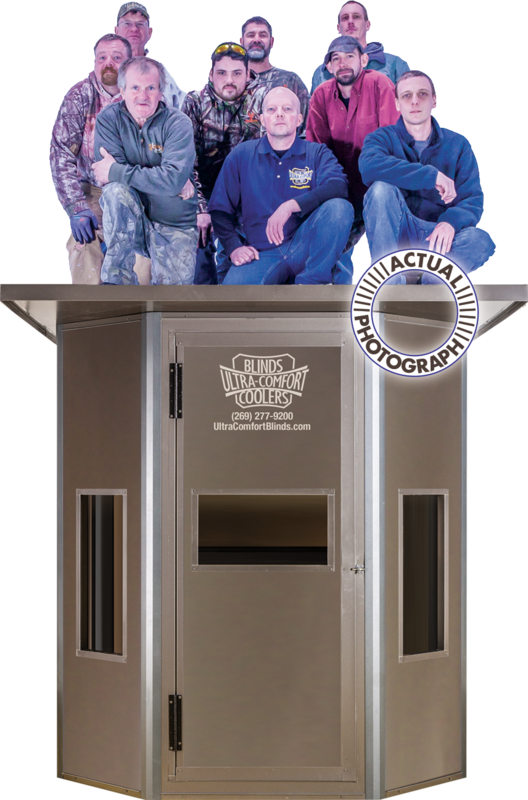 It’s what makes them the most advanced yet practical and truly unique hunting blind and cooler you can buy. Two coated aluminum sheets enclose the continuous super-insulating foam panel giving full metal protection, not just outside, but inside as well. Three layers laminated together to make one impenetrable barrier to keep out the elements and animals. Whether it’s you inside your blind or your harvest inside your cooler, you will feel comfortable knowing everything is “just right”. No wood to rot, no steel to rust! 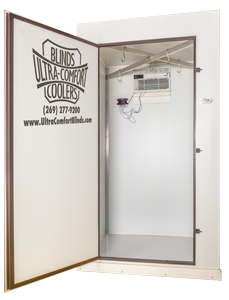 Your Ultra-Comfort Hunting Blind and Cooler will stand the test of time as well as the ravages of nature. 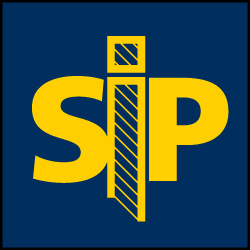 With our SIP technology, less is way more! Ultra-Comfort Hunting Blinds have three times the insulation value, are twice as strong, yet are only half the weight of the standard commercial hunting blinds. Their unbelievable low weight (only 190 lbs.) 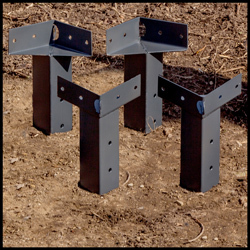 makes them inexpensive to ship, and in their preassembled state, easy to install, especially on an elevated platform. 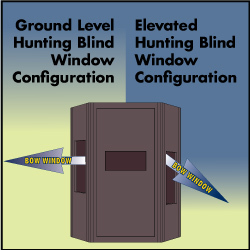 For elevated hunting blinds, install the corner panels rotated so the vertical bow window openings are lower to the floor allowing for a downward angle of attack. 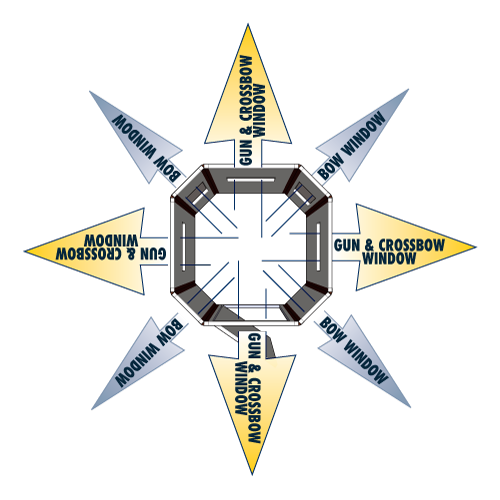 Hunting blinds on the ground will benefit from installing the vertical bow window panels rotated so the windows and angle of attack are higher. Make an elevated platform in less than two hours with our Heavy Duty Platform Corners. Pieces are powder-coated for long life. Set of four for only $195.